Henry David Thoreau (July 12, 1817 – May 6, 1862) was many things: author, philosopher, naturalist, abolitionist, historian, tax resister, surveyor, development critic, and pioneering transcendentalist. He also rocked the neck beard. 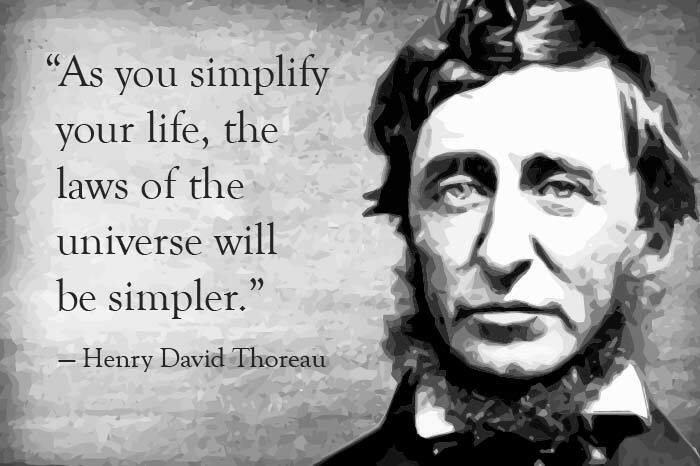 But at his heart, Thoreau was an eternal advocate for living a life of simplicity. That’s why National Simplicity Day is celebrated annually on his birthday, July 12. We agree. 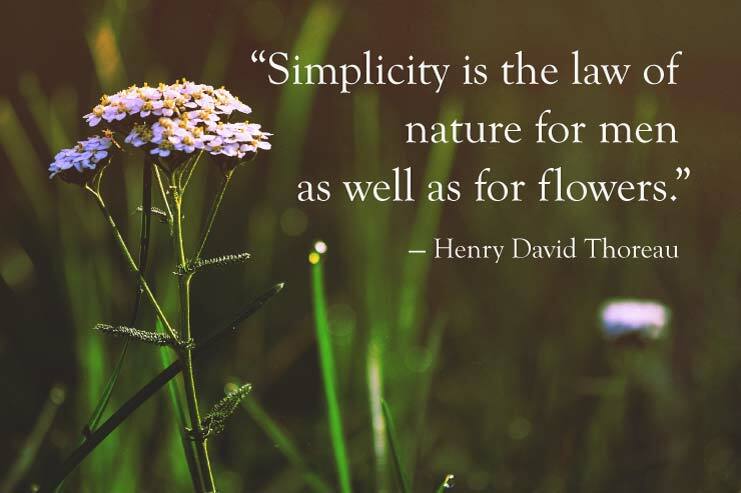 As a company, we strive to simplify healthcare information for our long-term care software customers (“simple” is part of our name, after all), so we feel a special affinity for National Simplicity Day. Slowing down, enjoying life’s simpler moments, de-cluttering our homes and offices, turning toward nature — all of these actions can make us less stressed and more happy. So why don’t we do them more? Well, that’s the tough part. But with the ever-increasing complexity in our world, maybe we can all use this week’s National Simplicity Day as an excuse to just breathe for a moment and reflect on the positive things an effort to “keep it simple” can bring. Simplifying doesn’t have to mean “losing” something. Instead it can be a “letting go” of things that weigh us down. Hardship, effort, worry, confusion, stress: these are all things can arise from complexity. Trimming away the extraneous, distracting parts of our lives can lead to a life lived more “deliberately” and with fewer regrets. Every parent can relate to this: teaching a child requires simplifying concepts to make them easy to grasp. Adding more information doesn’t help — in fact it often has the opposite effect, increasing confusion instead of understanding. Simplifying our daily intake of information can have the same result. When we clear away the clutter and reduce the “noise” flowing into our brains, it can be much easier to focus on content that matters. Eliminate distractions and random activities. Learn to say no. These are not necessarily easy things to do, but the positive outcome is that the quality of our lives and work can increase when we simplify. With less worry and more time to focus on what’s important, we can spend our time more consciously, focusing on our growth and recapturing the moments we used to waste on distractions. This is what it’s really all about. We all want the maximum opportunity to find happiness. And it helps to remind ourselves occasionally that many of the things we expend our energy on don’t really pay off in long-term contentment. After all, it’s not likely we’ll be lying on our deathbeds wishing we had worked harder or spent less time with friends. Instead we’ll be reviewing the our life’s beautiful moments. And hopefully we’ll have accumulated a very long list, made possible by a life lived deliberately and with simplicity.